Every day, we move in one direction or another. We’re free to choose from endless possibilities. Only you can choose the direction for the rest of your life. Whether you are a seasoned executive, emerging leader, stay-at-home parent, or college student, frustration is inevitable. Now is the time for you to SHIFT from, “I’m so busy and stressed,” to, “I’m living my ideal life right now.” And it doesn’t even have to be complicated. 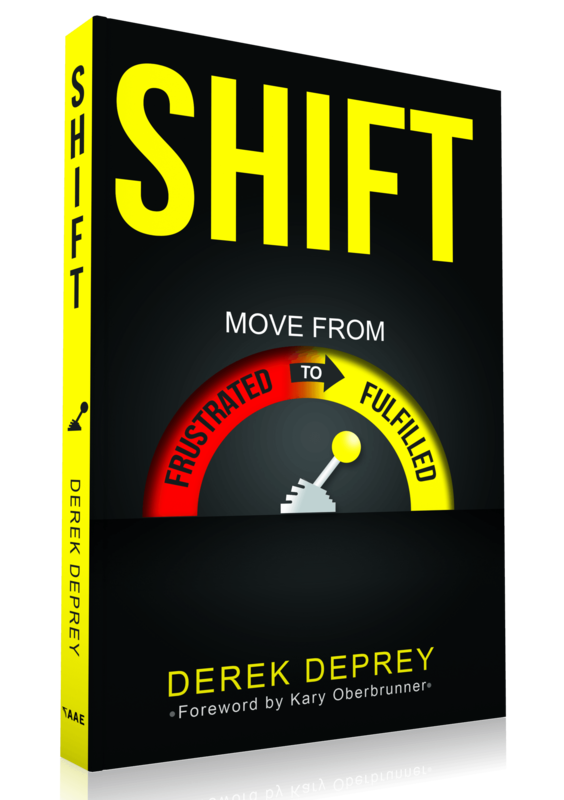 In SHIFT, author Derek Deprey teaches you a 5-gear process. Each gear uniquely moves you from frustrated to fulfilled. Within each interactive chapter, you’ll drive up to powerful questions and practical exercises—calls to make today the day you are inspired to change. Now is the time to reach your true potential. The right move, at the right moment, can make all the difference. If something stands between you and your ideal life, SHIFT. If you’re looking for someone to help you maneuver the challenging territory, Derek is your fellow traveler as you point your compass in the right direction. First and foremost, Derek is a husband to his beautiful wife, Rachel, and a proud father. He’s been blessed with two curious and energetic daughters, Ellie and Mia, who constantly remind him of the simple joys in life. Much of Derek’s day is spent as the director of training and development as well as a general manager for the Wisconsin Athletic Club (WAC) where he teaches his staff the core principles of leadership, training, and personal development. Shortly after joining the WAC, Derek couldn’t get enough of what he was studying, learning, and applying, so much that he created his own business, Move Results, as an avenue to engage and impact others through motivational speaking, leadership skill-building facilitation, coaching, and writing. He is the author of SHIFT: Move from Frustrated to Fulfilled. Derek feels that the best business to start is one that you need yourself. He just knew it was right because, still to this day, he goes to bed and wakes up every morning excited to pursue his business. It truly blends his day job and dream job. 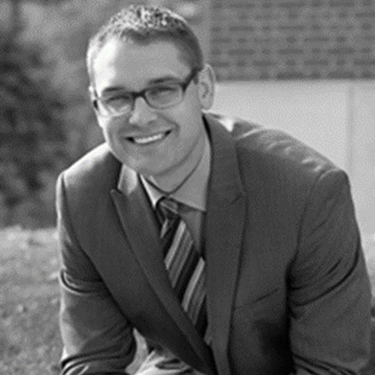 Derek’s diverse career endeavors also include Wisconsin Lutheran College as an adjunct professor of adult and graduate studies. Additionally, he is certified to teach content from John Maxwell, Franklin Covey, and Ken Blanchard. In his past career, Derek spent four years as a video scout in the NBA with the Milwaukee Bucks, two years as the coordinator of basketball operations in the NCAA with Marquette University, and one year as the director of player development with the University of Utah. If there’s anything he’s learned in the past decade, it’s that now is the time to build your career, to shape your life, and to strategically work on laying the foundation for accomplishing your dreams and prospering to your true potential. While there are many people who try to accomplish this, very few of them are given a roadmap of where to start; thus, Derek hopes you will find him as your resource for getting your compass pointed in the right direction.